Bhubaneswar: The Navnirman Krushak Sangathan (NKS) was on Wednesday deferred till May 5 . 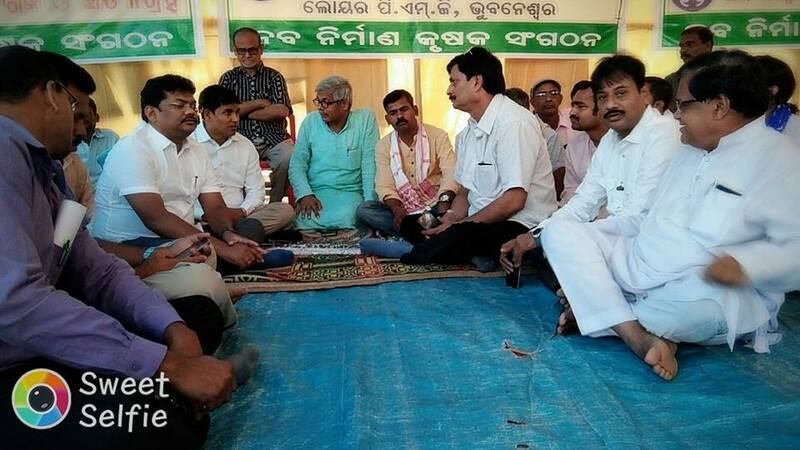 NKS took the decission after the organisation’s leaders held discussions with four BJD leaders in connection with fulfilment of their demands. NKS convener Akshaya Kumar informed about the agitation being put on hold after BJD leaders Sameer Dash, Dibyaranjan Mishra, Prashant Muduli and Rabi Mohapatra met them to discuss various issues and problems of the farmers and assured measures to resolve these issues. Alleging the Government’s apathy towards their longstanding demands of “price, pension and prestige”, the farmers under the NKS banner had been sitting on a dharna at Lower PMG here since March 12.